AH Structural Composites Ltd. (AMO #97-03) is a Transport Canada Certified Manufacturing and Structural Repair Shop located at the Pitt Meadows Airport in British Columbia. We are specialists in the manufacture and repair of Composite/ Sheet Metal Structures, don’t get lost in the queue of big companies claiming to do it all. You call...we answer! 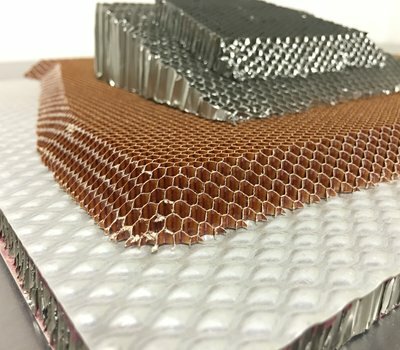 Our Team members are experts in the repair of Sheet Metal / Composite Parts, and have performed many repair techniques from Aluminum Bonding, Fiberglass Lay-ups, Kevlar Lay-ups, Carbon Fiber Lay-ups, Core Replacements, etc. Our facility has been set up specifically for Composites: we have a 6' X 6' X 10' Curing oven capable of 250 Deg F with computer print out capabilities, Hot Bonder for on aircraft repairs, Temperature Controlled Room for the Lay-up of parts, a separate Dust Controlled Grinding Room for the removal of damage and a Paint Booth for the application of primers and paints. Each part is carefully inspected prior to repair to ensure your quality requirements are met. Our capabilities extend beyond the Manufacturers Structural Repair Manual (SRM), we work closely with our Design Approval Representative (DAR) to generate a cost effective repair should it fall outside the SRM.